*smile* Trust you ! 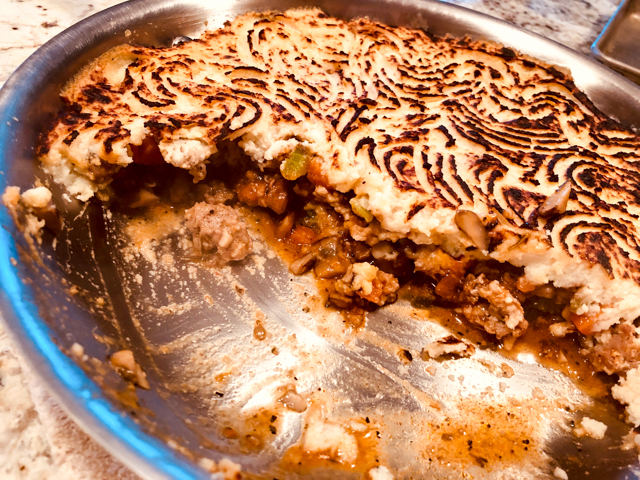 I don’t ‘do’ keto and normally don’t eat shepherd’s pie ! Love all the vegetables, love the harissa . . . have not used much ground turkey here but can get it . . . so guess what has just gone on the weekend menu . . . ?! I’d love to try this! I would grind Turkey thigh meat. We’ve enjoyed substituting cauliflower for potatoes, pizza crust, rice etc. in many dishes. 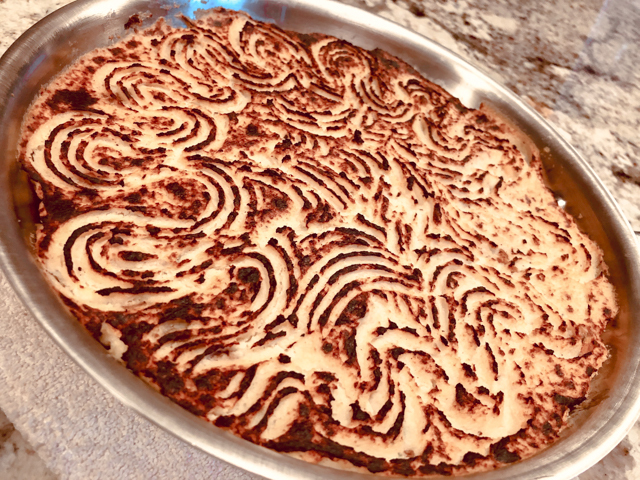 The topping for a Shepard’s pie never occurred to me. 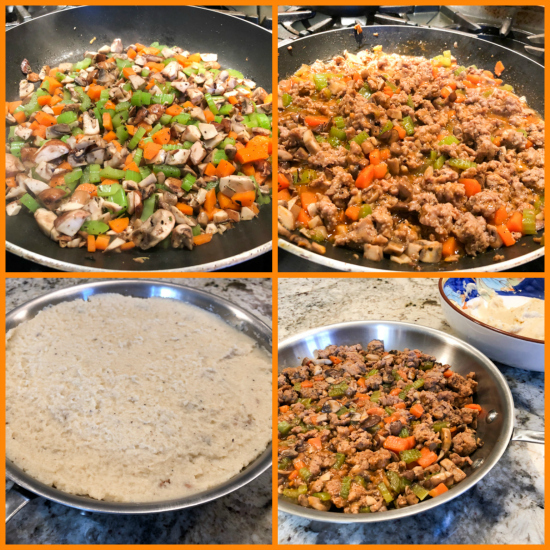 Ground turkey…why not? As in all culinary approaches, creativity, substitution and necessity can be very rewarding. Thank you! This looks wonderful! What is the baking soda for? Perchance paying Sally the courtesy of reading the post would help – surely an entire paragraph of explanation might explain . . . I read it, i just don’t get it. Is it just about browning? Cause i do that in batches to ensure browning, even though it takes so much longer. But that woman has made so many rude comments towards me I’d love to delete her from my universe. I aced chemistry, which was pretty silly for me to have taken as a geology major, since socks are inorganic. . I think i was just tired from my trip when I read your post, and didn’t get the total gist of the baking soda addition. Really excited to try it. Not a silly food blog. these international trips kill you… when we arrived back from Brazil it took me two days to feel back to “normal” – Glad you had a good time in my former home country… Rio is a beautiful place! Great idea! Got it penciled in for this weekend’s meal prep. Thanks for posting this, it eliminated the need of making another decision. Thanks for the science lesson! I’m going to have to try that with ground turkey! Sounds delicious. Love the swirly pattern on top! The swirly top looks so good! Oh yes on this — all of it. Always looking for ways to use ground turkey. And with your hot tip I can likely make the other dishes where I use ground turkey better. it is a nice trick to have in mind… a real game changer!